Prosecutors have released photos of the damage Bennett allegedly inflicted on the ship's hull in an effort to sink it and make Hellman's death look like a tragic accident. The FBI has accused Bennett, from Poole, Dorset, of intentionally sinking the ship in a bid to inherit his wife's estate in the horrific plot which unfolded on May 15, 2017. The photos became crucial because they showed the portholes below the waterline of the vessel had been opened and the damage was inflicted from the inside. 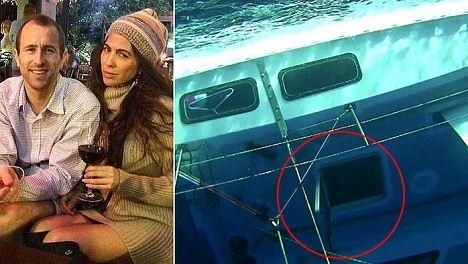 Bennett allegedly opened escape hatches and damaged the twin hulls of the catamaran he and Hellman were travelling on for their honeymoon, reported CBS12. After the two went out sailing, the vessel then sank and Bennett made an SOS call saying the boat called Surf into Summer was sinking and his wife was missing. 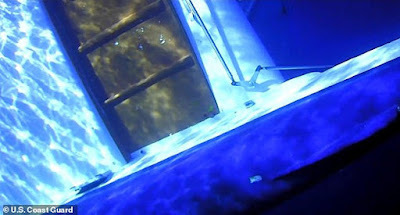 He claimed the ship struck an unknown object while he was in a cabin inside the vessel. When he came up he did not see Hellman and the ship was taking on water. He was rescued by the U.S. Coast Guard between Cuba and the Bahamas and was found on a life raft stuffed with his luggage, stolen silver coins, and provisions. Hellman's body was never found and Bennett said he had no idea what happened to her but suspected she was swept off and into the sea when the ship submerged.